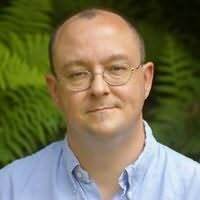 James Cambias has been nominated for the Nebula Award, the James Tiptree Jr. Award, and the 2001 John W. Campbell Award for Best New Writer. He lives in Western Massachusetts. CLICK HERE FOR MORE STORIES BY JAMES L. CAMBIAS. Ever since I was a kid stealing my dad’s sci-fi books the moment he laid them down for a minute (silly, silly man), I’ve loved First Contact stories and still fondly remember reading Murray Leinster’s classic, entitled, shockingly, “First Contact.” So when I was offered a chance to read A Darkling Sea by James L. Cambias, which is at its heart a first contact story, I jumped. 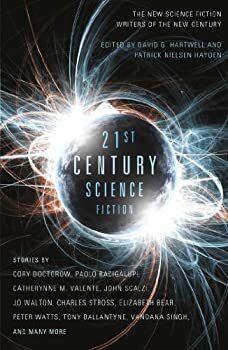 And I’m glad I did, as it turned out to be a mostly well-executed story with a fully realized alien race and a compelling story line. 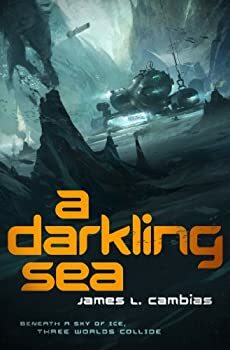 I was a fan of James Cambias’ debut novel, A Darkling Sea, a complex tale of First Contact that left lots of room at the end for a continuation of that story. 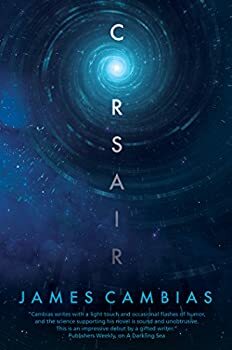 Instead though, Cambias took a pretty strong detour with his second novel, Corsair, which as its name suggests has to do with space piracy, though perhaps not in the usual fashion.